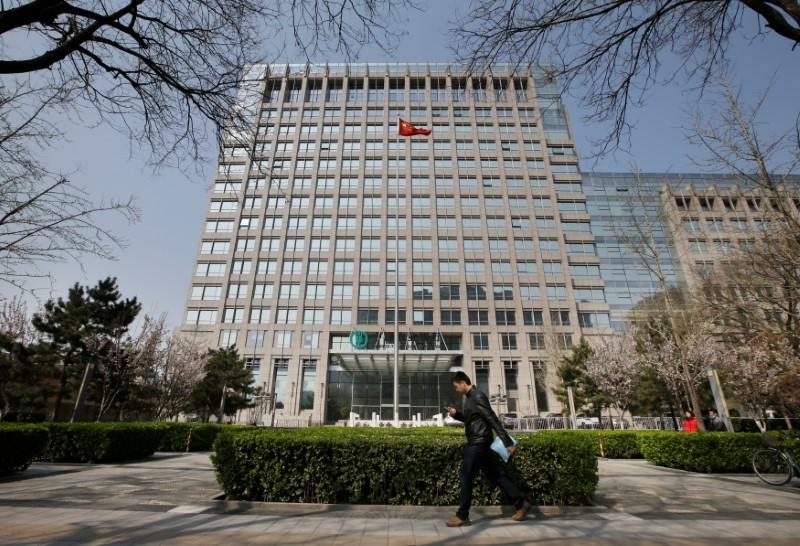 BEIJING/SHANGHAI (Reuters) - China's Big Five state-owned banks posted their fastest first-quarter net profit growth in four years, while their ratio of soured debt remained steady. China's biggest lenders are in the midst of a revival, posting faster profit growth and generally healthier net interest margins after years of rising bad debt as economic growth slowed down. The turnaround is in part due to policy initiatives such as debt-for-equity swaps that helped the largest banks deal with rising debt loads, and a widespread crackdown by the government on shadow banking that has given them an edge over smaller peers. On Friday, Agricultural Bank of China Ltd (AgBank), reported a 5.43 percent rise in first-quarter net profit, while the country's largest bank, Industrial and Commercial Bank of China Ltd (ICBC), said its net profit grew 4 percent over the same period. Bank of Communications Co Ltd (BoCom) and Bank of China Ltd (BoC), followed suit with net profit growth of 4 percent and 5 percent respectively. The results marked the fastest profit growth in four years for a first quarter for all the banks. On Thursday, China Construction Bank Corp (CCB) had also posted its fastest first-quarter growth for four years. The non-performing loan ratio at ICBC, AgBank, and BoC fell slightly, while for CCB and BoCom, the ratio was steady. Net interest margins (NIM) - the difference between interest paid and earned by banks and a key gauge of profitability - are trending up for ICBC and CCB and have done so for the last four quarters. AgBank doesn't publish its first-quarter NIM. BoCom and BoC saw narrowing or steady margins. "Looking ahead into 2018, we can see that the measures taken to reduce risk are also reducing the problem of idle funds in banks," Jimmy Leung, the China financial services leader at PwC, said in an April statement. "At the same time, new regulations will push up compliance costs and rising interest rates will affect the cost of capital," he added.